Happy Holidays: Wowie Zowie! 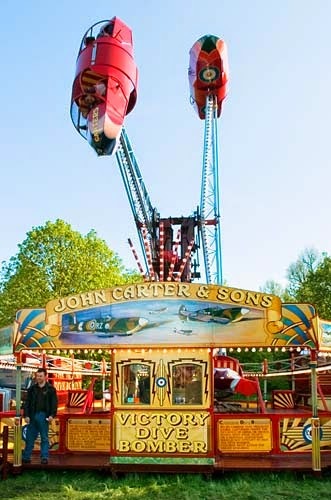 Carters Steam Fair. Wowie Zowie! Carters Steam Fair. 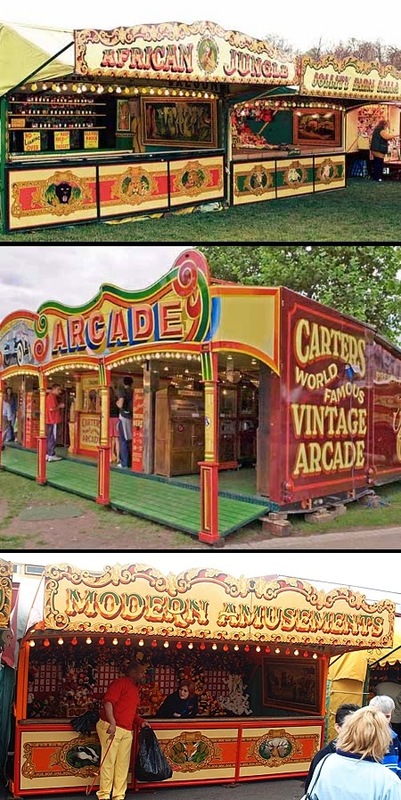 After my last two posts about fairground architecture and Midway rides I had to share this amazing group of working vintage and antique Midway rides, sideshow booths and transportation vehicles. 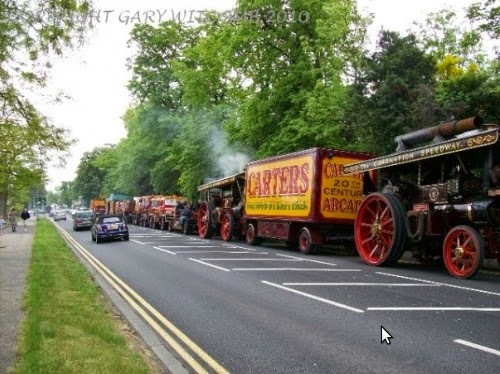 All of the images are from the Carters Steam Fair website. 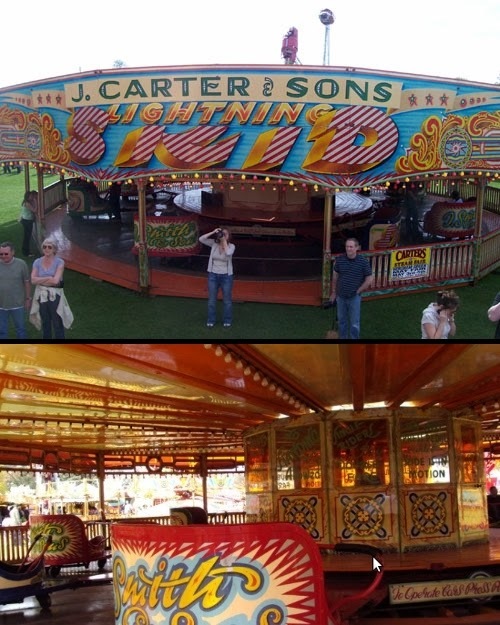 I came across the Carters Steam Fair website by way of Chocolate Creative, a blog that I follow. Can you imagine what it is like when the fair comes to town! Not only the rides but the trucks as well are vintage. Everything is in pristine condition. This family business loves what they do and it shows. When I went to their website I was gobsmacked! Please Dad, can I go to the fair? 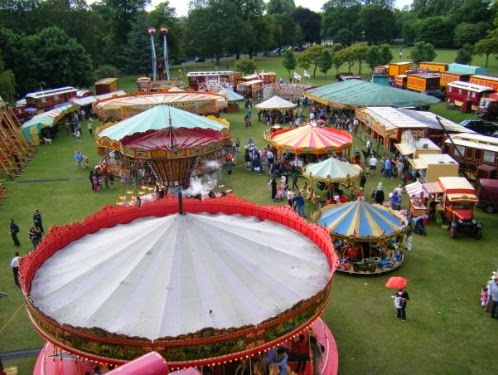 An aerial view of the fairground. Here is an aerial shot of the antique Swings. 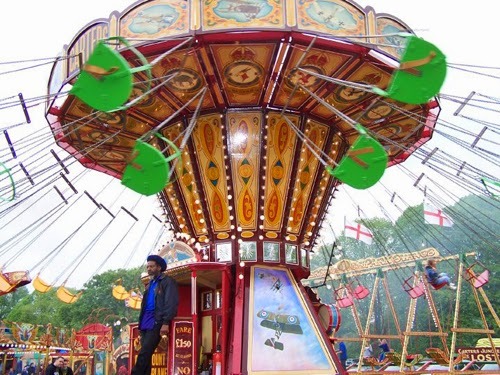 Fairground rides have progressed a lot from their unsophisticated origins. I wanted to show you the Octopus from several angles so that you can see the beautiful painting that is on the fence and engine cover. At night the midway becomes a magical place of light and sound. 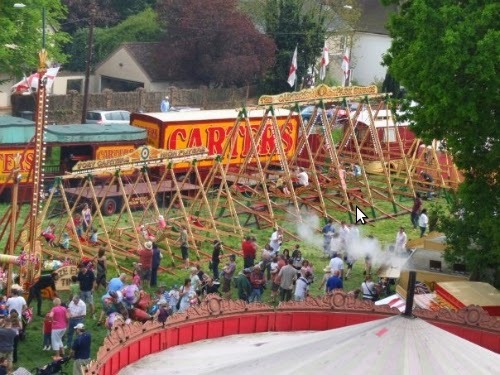 Carters Jubilee Steam Gallopers and all of the other rides are steam driven. 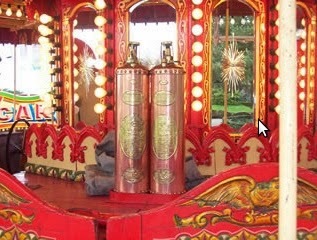 A look at the inside decoration of the Steam Gallopers. The term eco-friendly was coined many years after these rides were made. All of the lights on the rides are light bulbs. I wonder what wattage they are as well as what their electric bill is! The Chair-O-Planes like so many of the round rides are done in sections of flat panels for ease of taking down and transporting the ride from town to town. This gives the architecture of the ride a jewel like quality as well as lots of flat surface to decorate. The first time that I went on the Dive bombers I was terrified of falling out of the open window! 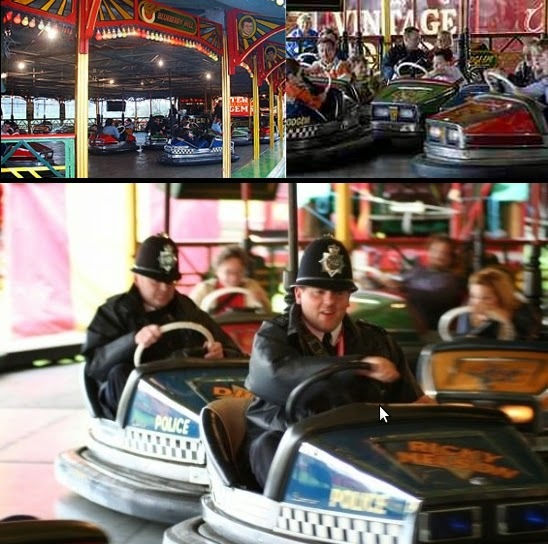 I have only been on the Dodgem Cars once when I was a kid. I ended stuck and hardly moving. It was a great disappointment. 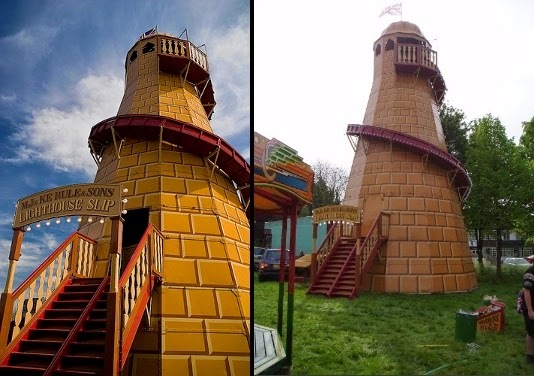 In the first post that I did about fairground rides and architecture I referred to this ride as the Helter-Skelter, here they refer to it as a Slip. It is also known as a Glide or Mat Slide. This ride is called the Lightning Skid. The lettering on the rounding boards at the top of the ride is quite marvellous. 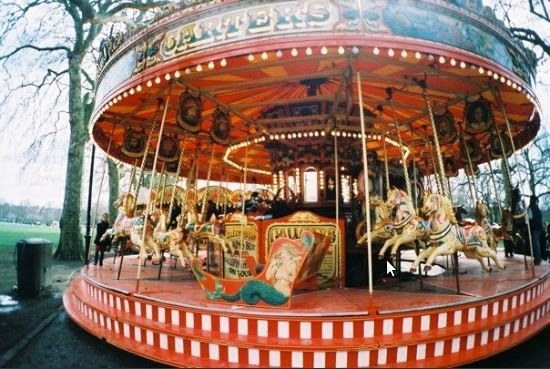 Minimalism is not a word that comes to mind when you think of fairground design. The lower picture is an interior shot showing the decoration. 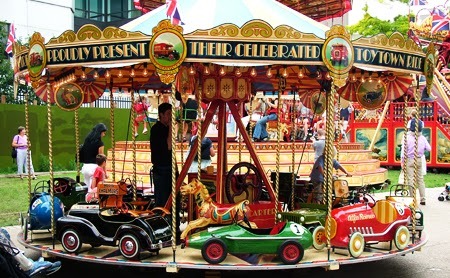 A children's carousel called the Toy Town Ride with vintage cars, bikes and horses. This ride is called Steam Yachts. Every inch of this ride as so many of the other rides is covered with decoration. I love it. The sights, the sounds, the smells are overwhelming, the fairground is bigger than life. 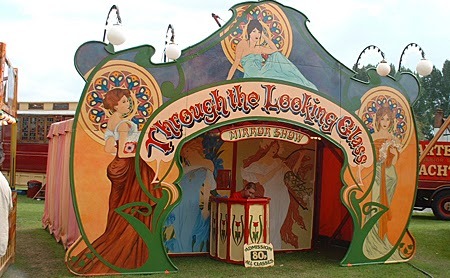 The Art Nouveau signs on the front of this tent filled with distorting fun house mirrors are superb. Strolling entertainers. 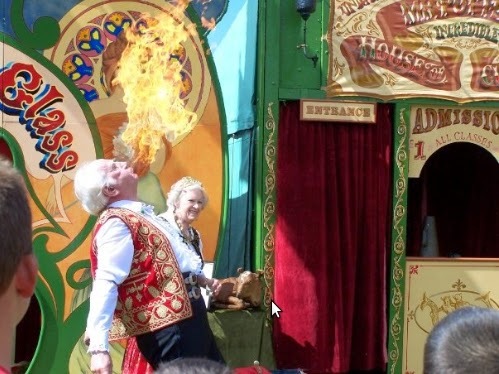 Who doesn't like fire eaters or are they in the same class as clowns for some people? Impress your girl and ring the bell! Games of chance and the booths surrounding the rides are referred to as the sideshows. I did not realize this; sideshow to me has always had a negative connotation as in "the freak sideshow". 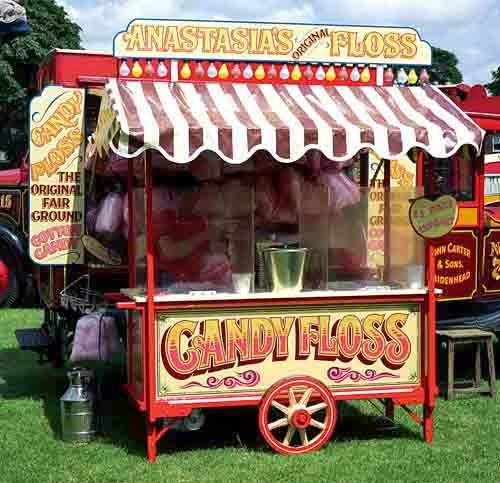 I had always wanted to own a candy floss machine, I think that I have just upped my ante here, this vending cart is so beautiful. 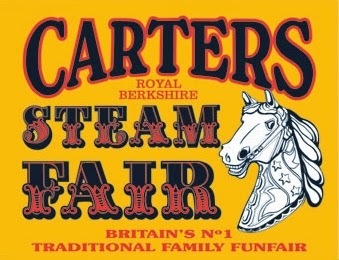 Go to the Carter Steam Fair website. The are lots of photographs as well as videos. 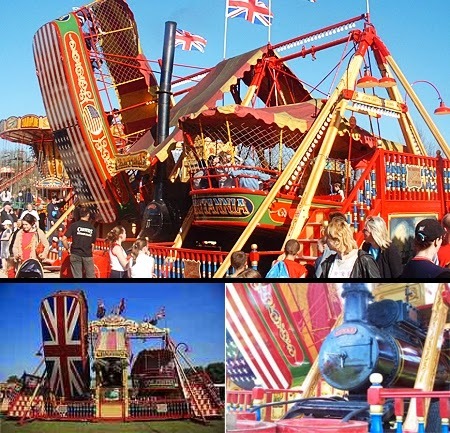 If you are on holiday in London try to make it to one of the fairs that they are at. Carters Steam Fair travels around London and the Home Counties from April to October every year. To find out where they are during this time check their website for information or call their information line at - 01628-822221. 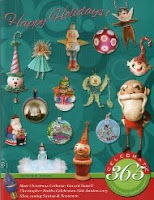 I love your fun creations, and what a fun blog too! Glad I stumble upon it. I have been tidying up the studio.